Christopher Purves is a true stage animal, and that innate instinct carries over to his recordings, which are theatrical in the best possible way. In 2012, he teamed up with Jonathan Cohen and his crack period ensemble Arcangelo for a recital of Handel arias, mining unexpected emotional variety and depth from the despots, fathers and patriarchs that make up the greater portion of the composer’s bass roles. Now the team reunites, exploring the corners of the repertoire and unearthing treasure. Under Purves’ assured touch even the basest of arias takes on a golden sheen. Take cantata Nell’Africane Selve for example; an early work, it gives us a rare glimpse of Handel still learning the limits of the voice. 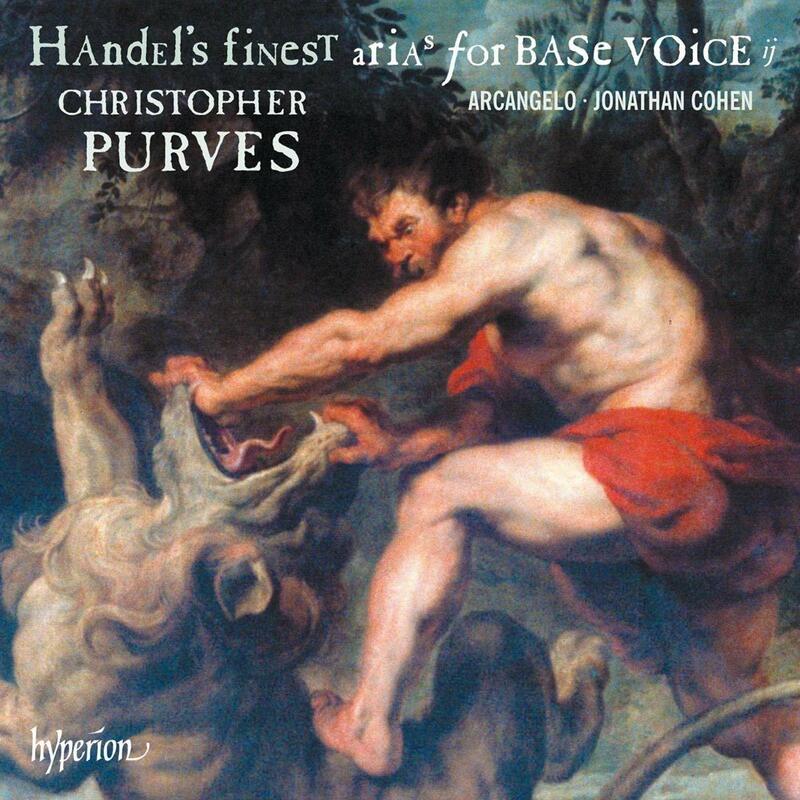 Though Purves makes light of its awkward leaps, sudden shifts of mood and two-and-a-half octave range, it shows quite a different artist from the assured composer of late oratorios Joshua and Belshazzar, represented by the polished coloratura of See, the raging flames arise and the heartbreaking anguish of Gobrias’s Opprest with never ceasing grief, caressed and coddled here with such skilful care. The best-known aria, Argante’s crooning Vieni, o cara from Rinaldo, is a miracle of seductive understatement, but is given a run for its money by the filmy delicacy of Esther’s Turn not, O Queen, thy face away. Arcangelo and Cohen offer every support, charting a course between tidy English baroque and a more expansive Italianate approach. After directing Theodora for Pinchgut in 2016, Lindy Hume is back to tackle another Handel oratorio, this time Athalia. She writes about why this rather arcane work is another Handelian masterpiece. A trio of Bach family Magnificats sound marvellously magnificent.